People and food used to be very similar. 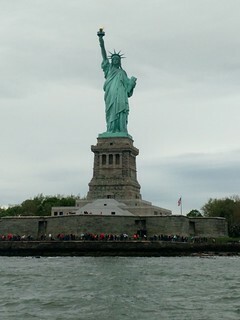 We went to Ellis Island and Liberty Island in NYC! There we saw where The Statue of Liberty stands and where immigrants entered the US. Savannah Georgia is made up of squares. You know, an open public space. 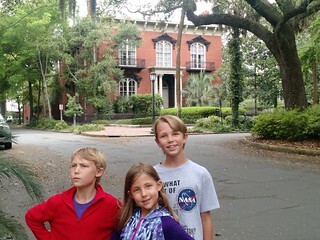 Savannah squares are NOT like a big area with lots of stores…. NO! Savannah squares are big gardens and a big memorial statue planted smack in the middle. It’s truly awesome. It’s where you see nature in the city. 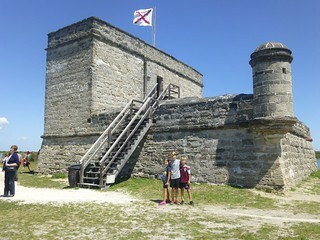 Fort Matanzas (not Mantanzas, Mom just called it that.) 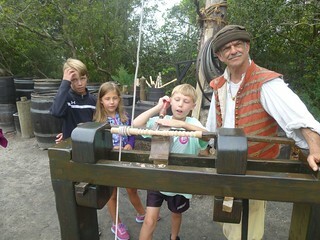 was a 17th century Spanish fort near St.Augustine. It is pretty basic, It is square with 3 levels including the ground. It had a white flag with St.Andrews cross ( a red cross with the branches unevenly lopped off) flying over the fort. Here is a presentation I put together for your viewing pleasure about the wonderful Everglades of Florida. Universal Orlando. We went to Universal in Orlando, Florida. 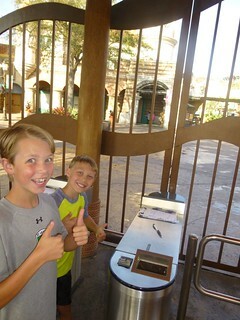 We had a choice of doing 2 different parks Islands of Adventure and Hogsmeade or Universal Studios and Diagon Alley. Diagon Alley and Hogsmeade are both from Harry Potter. Both parks had pros and cons but after lots of research we decided to go to Islands of Adventure and Hogsmeade. Sadly, a really fun looking ride, The Incredible Hulk, was having a major update. Lots of people recommended the Ellie Schiller State Park and Wildlife Refuge. We did not know that you could take the tram or boat it was a big surprise to us. While waiting for the boat to leave we were looking at some birds in a cage when a ranger came up to feed the birds, and asked if we wanted to. We said, “sure.” She handed each of us something that looked like cereal. She told us to hold it between 2 finger tips and the blue jay would fly up, and eat it. Mom thought it would be cool to see the bottle house. On the way we stopped by the World’s Smallest Police Station, there isn’t much to it, it was just a telephone, but somebody felt bad for them and built a box around it. The Bottle House was not what I expected. It was about 10 feet by 10 feet and had about a 15 foot roof where it was highest which was donated to him by a friend of his that was a retired roofer. Inside it had a cork coffee table, a cork desk, a lawn chair, some bottles on display, and a jar with a label that read, Donations. Then we looked around at the yard. There was a bottle lighthouse, a bottle bench, and about 7 square plates made of bottles formed a stack. In the yard there was also a 6 frequency icosahedron made of equilateral triangles. Leon was also working on a 2 frequency icosahedron inside of another, inside of another. 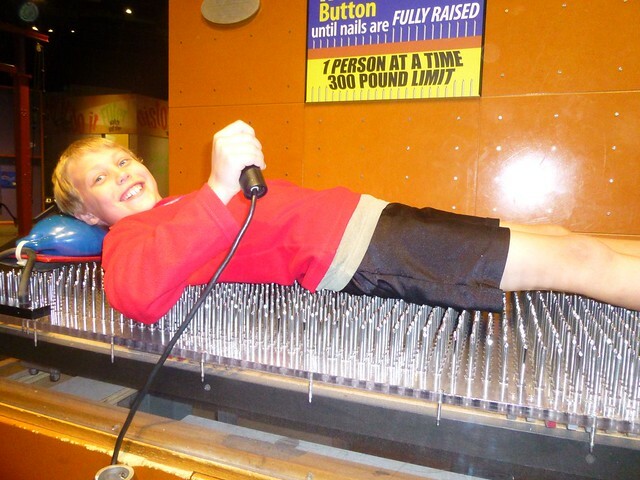 Leon wanted to make it 6 frequency. He ended up learning from his mistakes though! Leon had 2 poodles Zach and Sophie. Zach was black and Sophie was white. Before Leon owned them they were rescue dogs. Zach was a very poorly treated dog and he wouldn’t look at anybody. It took Leon 6 months for Zach to get back to normal. Now that Zach is back to normal, he loves kids. Sophie on the other hand, was a top notch, $300, rescue dog. Sophie is really sweet and always follows Zach. From 6:30 pm to 10:30 pm, the lighthouse’s light is on, the bottle stack kept flashing lights, and the 6 frequency icosahedron was supposed to spin around and the lights would reflect off the stained glass. Leon had a few HUGE solar panels and a computer to program the pattern the lights on the bottle stack which was donated to him by a friend of his which was an electric engineer. Leon claimed he woke up to a cup of coffee one day and declared out loud, “I’m going to build a house made out of bottles so tourists know people live here!” and his wife said, ” Alright.” “The next day when saw the cement mixer come up and lay the base to the bottle house she was astonished.” Leon claims. ” It took a little over 1 year to build it, with some help of a couple friends.